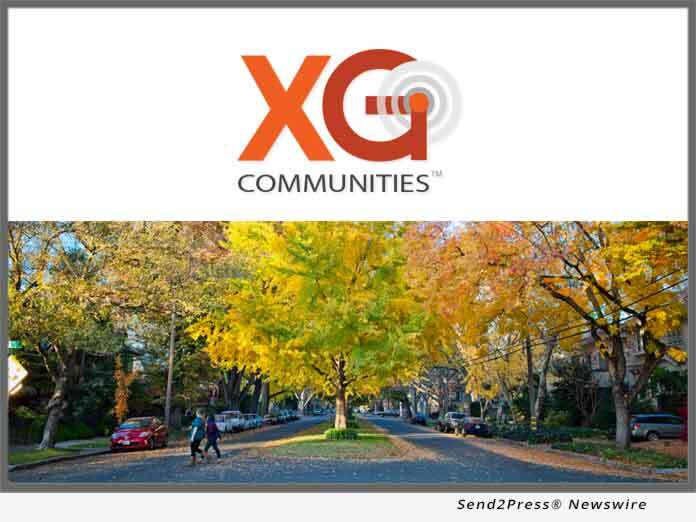 FRESNO, Calif. /California Newswire/ — Today, XG Communities, LLC announced the first of over 100 new 4.9G/5G small cell sites utilizing city-owned infrastructure in the City of Fresno. The network, which is scheduled to be operational by the end of 2018, will cover over half of the City with the latest wireless technology. This places Fresno as a clear market leader among the first cities nationwide to commence the roll-out of advanced small cell networks. The network is being developed by Small Cell Partners, a Manhattan Beach, California based investment group. Although Small Cell Partners has not shared network details, it anticipates announcing 12 more XG Communities cities where it will be implementing similar next generation networks that will service both new entrant wireless providers and traditional national wireless carriers. City of Fresno is in the Top 10 Largest Cities in California by population with around 522,000+ residents. The city has become an economic hub of the San Joaquin Valley and it is 24th for most livable city in the US for people 35 and under! With a robust public infrastructure, Fresno = Quality Lifestyle, with a low cost of living and numerous National Parks. Learn more: https://www.fresno.gov/. XG Communities, formerly 5 Bars Communities, is headquartered in Irvine, California. A premier provider of small cell wireless marketing plans, engineering services and comprehensive wireless strategies for cities and municipalities. Small Cell Partners is a Manhattan Beach, California based investment group targeting 5,000 small cell site deployments nationwide over the next 12 months. Small Cell Partners networks will include both traditional wireless carriers and new entrants utilizing 4G, 5G and CBRS next generation technologies.